In this video, I want to walk you through exactly HOW Federer pulled off what many people considered to be an upset complete with stats… and most importantly, what this means for YOU as a tennis player, and how you can utilize this knowledge to take your game to the next level. So, without further ado, let’s go over to the computer, and get started. As you probably know, Nadal has historically given Roger all kinds of trouble. Nadal has won 23 matches head to head to Roger’s 12. That means that historically, Nadal has beaten Roger just about 66 percent of the time. So going into this match, you know that Rafa was super confident… so WHY was Roger able to pull off the upset? Well… there are a few key things to look at. We know that Nadal is one of the fiercest competitors if not the fiercest from the back court. He hits the second heaviest forehand in terms of RPM… creating insane topspin on the ball… and giving him a bunch of safety and is still a great mover, which allows him to hit a ton of forehands. HIs backhand isn’t too shabby either. What does this mean for Fed? And the stats prove that… Fed won only 70/145 points from the back court (right around 44 percent). So what do you do Roger??? Here’s what’s interesting… you heard just about everyone saying in order for Federer to have a chance in this match, he was going to have to play quick points. If you watched the match, you know the first 4 sets were split… and I want to take you to the 5th set which was some of the best tennis Roger has ever played. What happened in the 5th set, though? Roger hit 8 backhand winners… which was more than the previous 4 sets COMBINED. He added 8 more forehand winners in the 5th set which gave him 28 for the match. Ok…Now what does this mean for you? What can you learn from this if you’re in your 50s or 60s… you play 2-3x per week? Clearly, you should get a bandana, and start speaking in a swiss accent. But what can you do tactically to win more matches? Make your first serve! Remember… 80% of first serve points won…Consciously or Subconsciously, your opponent is not thinking ATTACk as much on the first serve as he is on the second… and if you have a really good serve, he’s probably thinking defensively… so go for that first serve. Win the first point. Roger won 100 percent of games in the fifth set where he won the first point. This gets you playing from the lead… and subconsciously gets your opponent thinking he’s on the defense. Do these 3 things, and you’ll see an increase in points and matches won… and you’ll definitely have a lot more fun on court. Thanks so much for watching this video, I had a great time making it for you. If your interested in HOW Federer trained and was able to make history by winning his 18th grand slam title, I’ve created a PDF for you that reveals Roger’s Secret Practice routine… and walks you through the exact 12 steps that Roger uses to prepare for his matches… and has allowed him to become widely known as the Greatest of All Time. You can have it for free just by clicking on the link somewhere on this video and grabbing it. Thanks again for watching this video, and I’ll see ya in the next one. Bye! 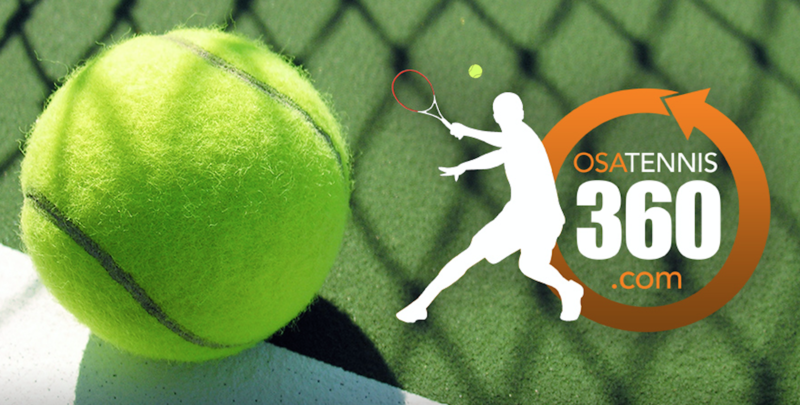 This entry was posted in Osa Tennis 360 HD Video Lessons (New subscribers) and tagged Australian Open, Australian Open Final, Federer, Nadal, Rafa Nadal, Rafael Nadal, roger federer. Bookmark the permalink.